Who am I writing for? 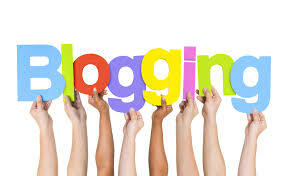 Once you know you will be able to write blogs for your readership and promote them more efficiently. Blogs are personal. More personal than a feed from a newspaper, better than the mechanical stuff you read on MSN News. A blog tells how you feel about something and people need to be able to agree or disagree with you. Whether you are linking to your book, linking to your favorite video or just plain linking to some random web page—try to LINK! It makes your post so much more interesting. Try to add photos to your post—this makes your blog article all the more engaging. When you share the post around people will look at the image you use first—and the title second. If someone takes the time to comment on your blog—take the time to respond with them. This is basic fan relations stuff. You can learn more about M.L Newman by checking out her Amazon Author Page. The writing process does not end with the first draft. Write. Edit. Write. Edit. It’s a process. Give yourself goals and try to achieve every single day. Don’t suffer the same lines over, and over, again. If you are in a rut—do something else! The worst thing you can do is become demotivated through being stuck in a rut. You shouldn’t punish yourself as a writer—you should enjoy what you are doing. If you aren’t enjoying the process– you may want to consider doing something else. Don’t neglect the family and do not give up your life to work on your book. Everything in moderation will get you to where you want to be. Facebook is not a writing tool. It’s a distraction. If you are writing try to stay focused on the book and turn the notifications off! The same goes for Twitter, Skype and all the other toys writers like to play with. Know what your character desires most of all. We go after the things that we want. That’s where ‘story’ lives. Your character is ‘likely’ to be chasing a dream, or an idea in your book. Make the character more than one dimensional. This is so effective that screenwriters often use a “save the cat” scene near the beginning of the screenplay to help the audience identify with the character. That character might be a hard-drinking, womanizing, selfish human being but on his way to work he always gives that homeless guy a few bucks for a coffee. Suddenly you don’t hate him so much. Put a bit of good and bad in every character. Just as we, as humans, are both good and bad—your characters should be too. Nobody is perfect. Try to make your characters as unique as people really are. Some writers fall into the trap of having characters that all sound alike. Try to give your characters a unique voice. If a reader can’t distinguish your characters—how can they enjoy the story? Give your character a life that lives on outside of the story. This is one of the most interesting parts of character development. You are creating your characters for a book, or story. At the same time you are trying to make them as rich and colourful as living human beings. Give your characters backstory, likes, dislike, opinions, views and purposes. If you flesh out your characters people will start to see them outside of your books. Passions are one of the things that makes us interesting as humans. When you meet someone who has an interest you are interested in that person. When you meet someone who has no interest in anything—it gets a little boring. Give your characters a hobby. This is especially useful in the cozy mystery genre. Give your character a talent. Self-explanatory really. Your character will be more interesting if they are good at something. How does your character treat people, and how do people treat your character in return? This is all about human nature again. Everyone knows someone they dread spending time with. Everyone knows someone they love spending time with. What makes them different? It’s normally the way those people treat us. The way your character treats others, and is treated, just makes them that little bit more interesting. Know what your character wants the most. What does your character want? This will change the way he/she treats others, acts, behaves and it can tie in with each of the above points. Write every single day. Sit down, zone out and write away. Start a blog, like this one. Use it to talk about your writing process, share your ideas, theories and experiences. Use writing exercises to improve your skills, strengthen your talent, and explore different styles, genres, and writing techniques. Just let go of your inner editor. When you sit down to write, refrain from proofreading until that draft is finished. 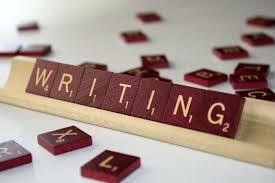 Allow yourself to write poorly, to write a weak, uninteresting story or a boring, grammatically incorrect poem. Allow yourself to fail. Failures teach us all about success. You are a writer so say it out loud: “I am a writer.” Part of being anything is believing it yourself. Read as much and as often as you can. Every great writer begins as a reader. Keep a journal or notebook handy at all times so you can jot down all of your brilliant ideas. You never know when you will be able to slip that idea into a story. Make sure you have a dictionary and thesaurus available whenever you are writing. You will need them. Watch people! The people that surround you will provide you with great inspiration for characters, plots, and themes. This has been proven time, and time again, by some of the biggest writers in the business.